Explanation: Can you spot the Solar System's four rocky planets? In the above image taken on September 20, all of them were visible in a single glance, but some of them may be different than you think. Pictured above, the brightest and highest object in the sky is the planet Venus. 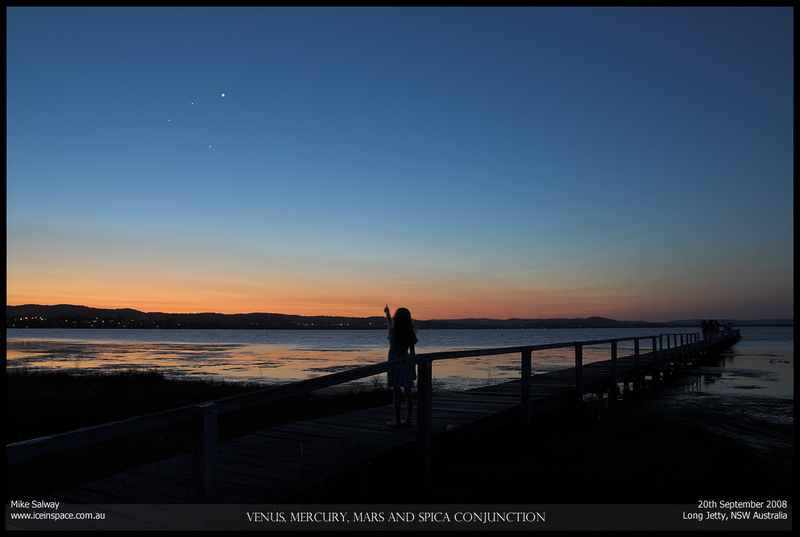 The object lowest in the sky is the planet Mars, while the object furthest to the left is the planet Mercury. The last remaining point of light is . . . the bright star Spica, which leaves the question -- where is the fourth rocky planet? That would be Earth, specifically part of Australia, visible across the entire bottom of the image.